This week we just started to learn “Absolute Value and Radicals”. One thing that I have learned so far is how to solve an equation that is given with negative numbers and the sum will be positive, when place inside | | Absolute value braces / symbols. 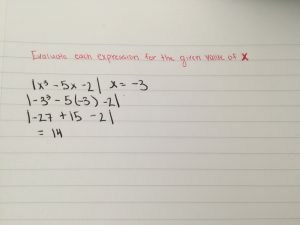 here is one equation that I was stuck on because I didn’t place the right signs besides the numbers, which was giving me the wrong answer. In this equation you plug in -3 where there is an x. The equation becoming and -5(-3), getting results from those then solve the final equation. 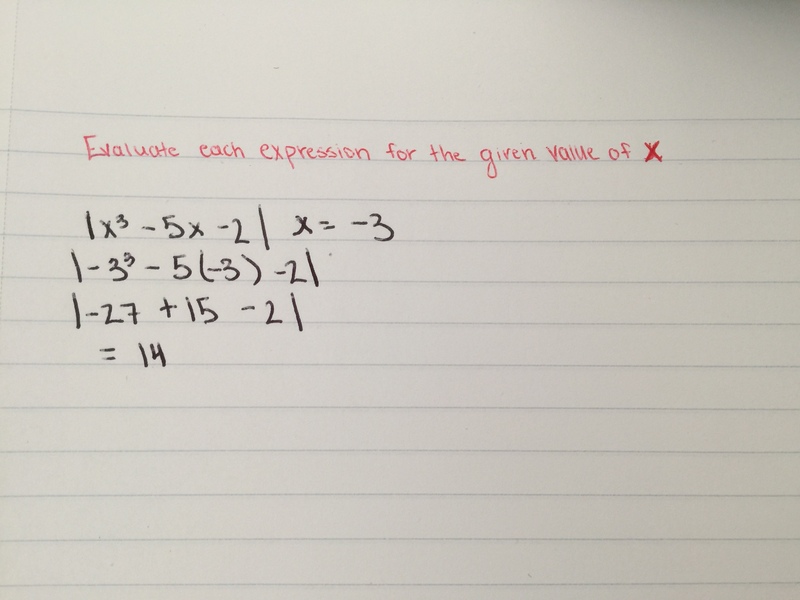 Equation will become a positive due to being inside the Absolute value braces.